This guide book tells you about the big ideas of the bible including the main people and events and helps you see how all of the Bible fits together. It is divided into the individual books of the Bible beginning with Genesis. Each book has an outline, and sections called Look out for.. and Things to Look for When Reading the Book. Additionally there also includes an Old and New Testament timeline. Information on the Tabernacle. The miracles of Jesus. Paul's Travels. Cutaway of a Synagogue. This is an excellent guide to get a taste of what the book will be about before you dive in. 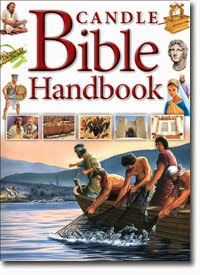 A great resource to have near by when you are studying your Bible. I really loved the photographs of actual places!